According to Different Reports of Pakistani Media President of Pakistan Asif Ali Zardari has agreed to give two year Extension to Pakistan Army Chief General Ashfaq Perve Kayani which can be even extended to two years. 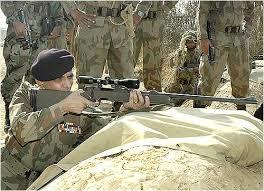 The official announcement about Extension of General Kayani will be made in next three days. Army Chief has also met President Asif Ali Zardari and Prime Minister Yousaf Raza Geelani on Friday where issue of his Extension was also discussed. Few days ago all Core Commanders also got agreed on Extension of General Kayani. Few months ago ISI Chief General Ahmed Shuja Pasha also got extension of one year in his service. The reason behind these Extensions is present situation in the region.General Kayani will be the first Army Chief of Pakistan that is getting a Extension in his service by the Government.